Buffalo, NY (December 21, 2018) – Early on Friday morning, December 21, a fire was reported to have broken out at a home on Shirley Avenue, resulting in the deaths of two people and the injuries of three others. The fire started at around 1:30 a.m. as five family members, including a 4-year-old girl and an 8-year-old boy, were inside the house. 26-year-old Brianna Ross was visiting family at the home when the fire broke out and prompted firefighters and emergency medical crews to the scene. Authorities arrived to find Ross dead at the scene as they immediately rushed four other victims to nearby hospitals. 4-year-old Cianna Jones was taken to Erie County Medical Center where she was tragically pronounced dead. Among those who were injured were an 8-year-old boy who was admitted to Children’s Hospital with burns on over 80% of his body. Two adults were also taken to ECMC to be treated for smoke inhalation and minor injuries. We would like to offer our sincerest condolences and warmest thoughts and prayers to the loved ones of both Cianna Jones and Brianna Ross, first and foremost. Furthermore, we also extend our sympathies to the three injured parties as we maintain hope for their full recoveries. Many fires in New York commonly prove to be fatal as they are one of the most terrifying situations that anyone may encounter. Following such a harrowing situation, it is imperative to know that you may have the right to be compensated for your losses, particularly if the incident was caused by another person’s reckless or criminal behavior. At Hach & Rose, we realize that there is nothing as traumatic as the sudden loss of a loved one and we are passionate about helping those who have been affected by the actions of another party or entity. 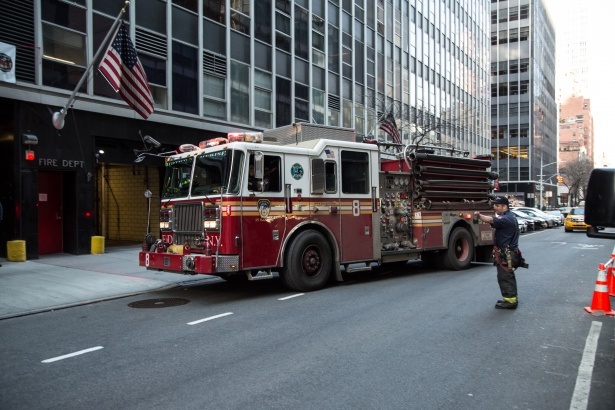 If you have lost a loved one or suffered injuries in a New York fire or explosion, please call us today at 212-779-0057 and let us put our experience to work for you.